ITSM Service Desk (powered by HEAT) – Kifinti Solutions Inc.
A new ITSM help desk solution can fundamentally streamline IT, but it won’t do much good with a change management strategy that leaves it underutilized. Building on Ivanti Help Desk, Ivanti Service Desk adds Change Management and Configuration Management to handle IT changes quickly and efficiently to ensure high levels of service availability and quality for your IT service desk. 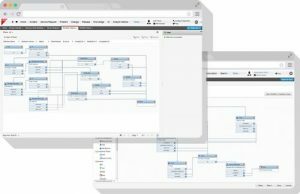 The workflow engine helps organizations manage business processes with an intuitive, drag-and-drop workflow designer. Wait times, transfer rates and abandoned calls are dramatically reduced by automating phone interactions.